Took this photo this past weekend at Berry College in the foothills of northwestern Georgia. This exceptional college with a rich history is situated on the world's largest contiguous campus (in terms of lands owned). 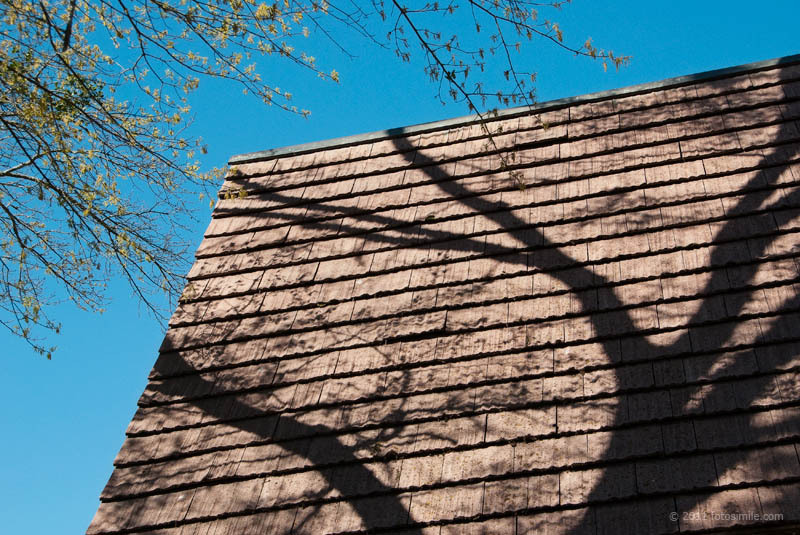 These shadows caught my eye on the roof of Barnwell Chapel, built in 1911. When you click on the link here you can see a 360 degree view of the interior of this quaint chapel.